Hi ho! 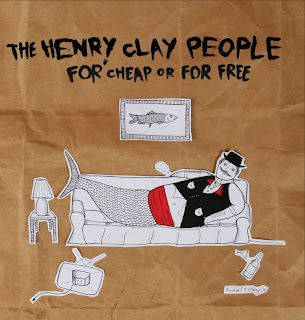 In the day of yester, the Henry Clay People posted a brand new track to their MySpace page for listening purposes, "You Can Be Timeless." Survey says: It's destined to be a neo-classic rock hit! The track is the first to pop from the loins of their upcoming record, For Cheap or For Free, due out on Aquarium Drunkard's Autumn Tone Records. There'll be a release show Oct. 3 at shiny ol' Spaceland, though impatient fans can get their kicks at the Sunset Junction festival this weekend. The Henry Clay People go on at noon this Sunday, August 24, on the Bates Stage (which, on a side note, will be occupied by the Black Keys later that night). Support the hell out of this band!